Our Preschool is a Ministry of Saint Jude the Apostle Parish and provides a warm, loving environment for children ages 18 months through age 5. Please call 678-252-5981 to reserve a private tour. Our structured classrooms are the setting for a curriculum that begins with socialization and progresses to kindergarten readiness skills. All that we do is founded on Jesus Christ, as revealed through the teachings of the Catholic Church. We honor and respect the role of the family in this world, and we hope to serve yours through this Ministry. 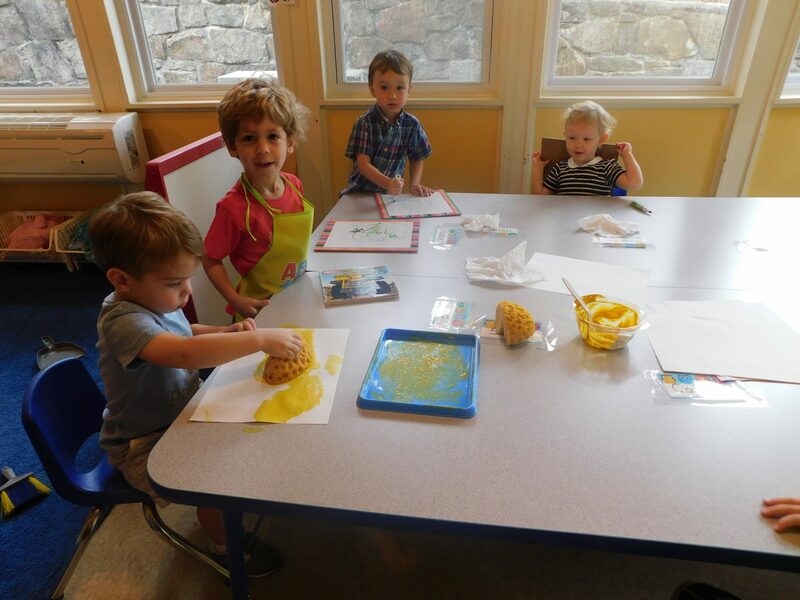 Our program is comprised of teaching the alphabet (sounds), shapes and numbers, measuring, pouring, cutting, painting, colors, spatial concepts, sequencing, days of the week, and months of the year. We incorporate “Zoo Phonics” for our literacy program and “Handwriting without Tears” for our writing program. Our goal is to make learning fun. Each class attends music weekly and we celebrate the children’s achievements with two concerts (Christmas and spring). Children also acquire skills in good manners, listening, teamwork and thoughtfulness toward their classmates. Our school day begins at 9 a.m. and ends at 12:30 p.m. Each child brings a lunch from home to eat with classmates. In the event of severe weather, we follow Fulton County School closing on the first day of the weather situation. The school year begins after Labor Day and ends in May. For more information about the preschool or to schedule a tour, contact Angela Rahn (678) 252-5981.